O Lord, we thank you for this new day and for keeping us safe through the night. In Jesus name we pray. Amen. Father in heaven, guide us all this day long so that we may do what is pleasing in your sight. In Jesus’ name we prey. Amen. O God, by your Spirit open our minds so that we may learn anew your Word and diligently follw it. In Jesus’ name we pray. Amen. God the Father of us all and King of the universe, we thank you for your dear Son, Jesus Christ, his sacrifice on the cross and our faith in him that saves us from being eternally punished for our sins. Amen. In your mercy, O Lord, bless your Church, break the devil’s hold on us and through your Spirit lead us and all people into your kingdom. In Jesus’ name we pray. Amen. O God, for Jesus’ sake, have mercy on us and forgive our sins and the evil we have done this day. Amen. Grant us your peace, O Lord, through the hours of this night and at the end of all the ages. In Jesus” name we pray. Amen. 1. Psalm 119:164 says we should pray seven times a day. These seven little prayers are one way to do that. Martin Luther said this verse from Ps. 119 expressed “our ceremony of hours,…. The daily universal praise, since seven is the number of the universe.” He also noted that “many bless God but only when He does good to them…. But not so the spiritual man…” (Luther’s Works 11:525, 524). These prayers help you pray through thick and thin and not only when you’re happy. 2. In The Rule of St. Benedict of Nursia (480-550), Chapter XVI, the seven times for daily prayer in the monasteries were: Matins, Prime, Terce, Sext, Nones, Vespers and Compline. They began in the middle of the night around 2 am. So using Psalm 119:164 has been a long-standing practice in the church and should continue to be. 3. The times I have suggested are not the only ones to use. Make adjustments as you wish. They are flexible. Just keep the seven separate times each day. 4. The words also are not the only ones to use. Make up your own if you wish. You should try, however, to address a different theme in each of the seven prayers. 5. My prayers are brief. This is to make them easier to memorize. Memorizing them helps you say them wherever you are when the hour of prayer strikes. Remember that Luther believed prayer should be “brief, frequent, and intense” (LW 21:143). In St. Benedict’s Rule, however, each hour of prayer lasted an hour or so being filled in with singing, praying and reading Holy Scriptures aloud. If time permits, that would be good to do. Materials from the Lutheran Book of Worship (1978) can be used to add to these small prayers provided here. 6. I use the pronoun “we” in these prayers. I do that to show our church praying together. These are not to be private prayers even though for most they will be prayed alone. 7. R. R. Reno has recently written that these prayers, or ones like them, are “the womb of our new life in Christ” (In the Ruins of the Church: Sustaining Faith in an Age of Diminished Christianity, 2002, p. 155). So these prayers hold great promise. God bless you in your discipline of daily prayer. 8. And if you want to study more on the ins and outs of prayer, check out my Chapter 10 in Kierkegaard for the Church (2013), especially footnote 21 on true prayer standing over against “dreamy loitering” over God. the very body of your dear Son, Christ Jesus, our Lord. people and preserved by people. and in the compassion of the gospel. Our best prayer is the Lord’s Prayer (Matthew 6.9-13; 1 Chronicles 29.11). All Christians know it by heart. It’s in all our major liturgies. But do we understand it as we should (see 1 Corinthians 14.15)? The Lord’s Prayer, after all, “is the greatest martyr on earth…. Everybody tortures and abuses it; few take comfort and joy in its proper use” (LW 43.200)! Luther pondered this prayer deeply in his two 1529 catechisms (The Book of Concord, Tappert edition, pp. 346-348, 420-436), his long 1519 treatise (LW 42.19-81), his devotional guide of 1535 (LW 43.195-200), a sermon from 1528 (LW 51.172-176), his 1532 commentary on The Sermon on the Mount (LW 21.142-148) and in a hymn from 1539 (LW 53.296-298). No wonder he said: “To this day I suckle at the Lord’s Prayer like a child, and as an old man eat and drink from it and never get my fill” (LW 43.200). From his study he concludes: “No one can pray the Lord’s Prayer correctly without cursing…. every other name and every other kingdom” (LW 21.101). In what follows I will try to fit in this cursing when praying “the very best prayer that ever came to earth” (LW 21.146). Our Father who art in heaven. If God is truly in heaven, then our world, on earth, is a godless mess and we live “among strangers, desolate and miserable,…. and in much danger” (LW 42.23). And indeed it is so, for the devil runs this place, bringing us much woe (1 John 5.19; Revelation 12.12; Luke 4.6). Hallowed be thy name. Because “God’s name is never sufficiently praised and preached” (LW 51.173), we pray these words. Indeed, “all men are blasphemers of God’s name.” For that reason these words are “an indicator of our wretched and accursed life on earth, humbling man in his own esteem…. In all of Scripture,… no other passage… denounces and dooms our life more than this petition” (LW 42.33). So we cry out “against all who preach and believe falsely and against those who attack and persecute… pure doctrine and try to suppress it” (BC 426). This is part of our spiritual warfare whereby we “destroy arguments and every proud obstacle” so we may take “every thought captive to obey Christ” ( 2 Corinthians 10.3-5). Thy kingdom come. “Those who confess that they impede God’s kingdom and pray sorrowfully that this kingdom might still come to them, will, because of their penitence and prayer, be pardoned by God, when he would otherwise rightly punish them. But, together with tyrants and the destroyers of his kingdom, he will surely and severely judge those brazen spirits who are indifferent to the state of the kingdom and who do not earnestly pray for it” (LW 42.38). And we also are to ask “eagerly” that it will come with “haste” (Hebrews 9.28; 2 Peter 3.12). So much for wanting to hang around so we can get what we’ve planned for (see Matthew 26.39)! Thy will be done on earth as it is in heaven. “To be sure, [God] gave you a free will. But why do you want to make it your own will? Why not let it remain free? If you do with it whatever you will, it is not a free will, but your own will. God did not give you or anyone else a will of your own. Your own will comes from the devil…. A free will does not want its own way, but looks only to God’s will for direction…. [So God] bids us to pray against ourselves. In that way he teaches us that we have no greater enemy than ourselves…. Therefore we are asking [in these words]… for the cross, torment, adversity, and suffering of every kind, since these serve the destruction of our will” (LW 42.48-49). 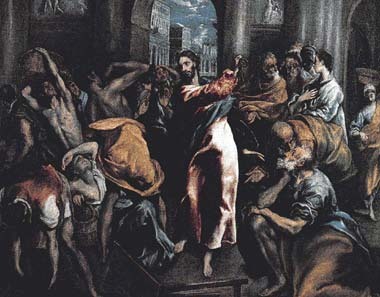 No wonder we must suffer and deny ourselves if we would follow Jesus (Luke 9.23). Give us this day our daily bread. It is good to ask God “only for today’s bread so that we may then trust in a greater God” (LW 42.62). For indeed it is so that if God “withdraws his hand, nothing can prosper or last for any length of time” (BC 431). Therefore we must never say that “the might of my hand has gotten me this wealth” (Deuteronomy 8.17). We must wake up. We must “rid ourselves of all false reliance on knowledge, reason, skill and wisdom” (LW 42.60). We must see that our wealth comes from God and so sing out “with thanksgiving” (BC 347). Being ungrateful is indeed shameful. And since Jesus is the “true bread from heaven” (John 6.32), we are also taught in this prayer that “God wishes his children to be more concerned about food for the soul; yes, he even forbids them to worry about their bodily food and drink [Matthew 6.25]” (LW 42.53). Forgive us our trespasses and we forgive others. “Let no one think that he will ever in this life reach the point where he does not need this forgiveness. In short, unless God constantly forgives, we are lost…. God has promised us assurance that everything is forgiven…, yet on the condition that we also forgive our neighbor” (BC 432-433). “This… mode of forgiveness is bitter and hard for us, but it is the one most sublime and precious…. [So] beware O man! Not he who offends you but you who refuses to forgive inflicts a harm on you greater than the whole world could do…. Thus the Lord’s Prayer makes us see this life as being so full of sin and shame that we become weary and tired of it. And now, you yelping cur, judge yourself,… search your own heart, and you will soon forget the faults of your neighbor. You will have both hands full with your own faults, yes, more than full!” (LW 42.64, 66, 71). Because we sin daily, we “deserve nothing but punishment” (BC 347), so repent! Leads us not into temptation. We do not say “spare us the trial,…. but help us so that we do not… fall prey to them…. So you see that no one is free from trials. However, we can defend ourselves against them…. Thus… we cannot prevent trials and temptations from overtaking us, but with our… invocation of God’s assistance we can stave off their victory over us…. But why does God let man be thus assailed by sin? Answer: So that man may learn to know himself and God; to know himself is to learn that all he is capable of is sinning and doing evil; to know God is to learn that God’s grace is stronger than all creatures. Thus he learns to despise himself and to… praise God’s mercy” (LW 42.71, 73, 74). “Accordingly we Christians…. shall not go about securely and heedlessly as if the devil were far from us, but shall at all times expect his blows and parry them” (BC 435). So we need to stay “fit and alert” – never thinking we have “already achieved everything” (LW 43.197). Deliver us from evil. 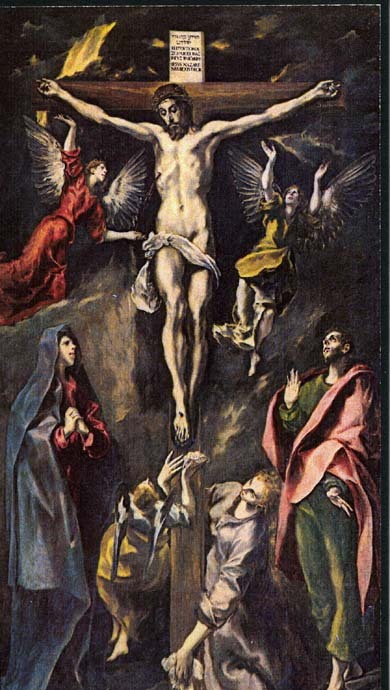 “We pray in this petition, as in a summary, that our Father in heaven may deliver us from all manner of evil, whether it affect body or soul, property or reputation, and that, when the hour of death comes, he may grant us a blessed end and graciously take us from this world of sorrow to himself in heaven” (BC 348). World of sorrow? But what about all the beautiful sunsets, delightful friends and merry entertainment? They go no deeper than the thin veneer of life. “This petition includes all the evil that may befall us under the devil’s kingdom: poverty, shame, death, and, in short, all the tragic misery and heartache of which there is so incalculably much on earth” (BC 435). Give us grace, dear Father, to use your gifts to the saving of our souls and to the betterment of our lives. Thus may the fruits of the earth serve to maintain and improve the health of both body and soul. We ask you to give us the grace to expel the lusts of the flesh. Help us to avoid excessive eating, drinking, and sleeping, and to resist laziness. Grant that by fasting, careful eating, and proper clothing and care for the body we may watch and toil to become useful and fitted for good works. Help us to hate this life and to long for the life that is to come. Enable us not to dread death but to welcome it. Release us from the love and attachments of this life, so that your kingdom may be totally completed in us. Come to us and use our bread, silver, and gold. How very well they are spent if we spend them in your service. Keep us wide awake and active, eager and diligent in your word and service. May we not be overconfident, idle, and indifferent, as though we owned all things. Protect the fruit of the fields and all cattle from lightning, poison, wild beasts, and every possible injury. Give us grace to willingly acknowledge and bear all sickness, poverty, shame, suffering, and misfortune as coming from your divine will to crucify ours. Keep us from desiring anything temporal or eternal that does not praise and honor your name. If we should ask you for any such things, we pray that you would not hear our foolishness. Help us that with all our possessions, words, and works we may praise and honor only you, and not through them seek to win a name for ourselves. We glorify you alone to whom all things belong. Guard us against the shameful evil of ingratitude. O Lord, you have given us your Son, Jesus Christ, who is far more precious and dear than heaven, and much stronger than sin, death, the devil, and hell. For this we rejoice, praise, and thank you. In the name of God the Father, Son and Holy Spirit Amen. O Lord God, Almighty and Eternal, in your goodness and mercy bless me for Jesus' sake. Make me strong in my weakness, fear and illness. Help me to learn that you remain my loving heavenly Father even in these tough times, and I your unworthy servant. If you are punishing me in these sad times, help me accept your wisdom, justice and compassion, and grow in grace. Turn my eyes to the sufferings of your dear Son, Jesus Christ. Help me see in him how small my problems are and how rich my redemption is. Then fill me with your Spirit and dispel my bitterness and fear, so that I – alive or departed – may sing your praises and thank you forever – you, who alone are to be glorified, now and forever. Amen. Godly Blindness. Lord, give us weak eyes for things of little worth, and eyes clear-sighted in all of your truth [KW 19:3]. Godly Burdens. Lord God, you know our cares better than we ourselves know them, you know how easily the apprehensive mind is predisposed to premature and self-induced worries. We beseech you to give us the insight to see through their prematureness and pride and to disdain them – these busy, self-induced cares, but we pray that we may humbly accept from your hand the cares that you yourself lay upon us and that you will give us the strength to bear them [JP 3:3382]. Shatter Our Idols. Lord, make our hearts into your temple, in which you take up residence. Let every unclean thought, every terrestrial desire be found shattered, like the idol Dagon, each morning at the base of the Ark of the Covenant. Teach us to master our flesh and blood, and let it be blood sacrifice, so that we may say with the apostles: I die daily [JP 3:3374]. Learning the Language of Loss. Father in heaven! Have a little patience with us, for we often think in all sincerity that we are talking with you and yet talk so foolishly. Sometimes what happens to us is so good (in our way of thinking) that we do not have enough words to thank you – like a cunning child who thanks because it has gotten its way. Then again things go badly and we cry to you, if we do not wail and screech – alas, like a foolish child who is afraid of what benefits him. But no matter… how childish we are, no matter how little our speech and our language resemble the language we should learn from you, this much we still understand – that it should not be this way… [JP 3:3413]. Words of Pain & Joy. Yes, honor to [the Virgin Mary]! O my God, when the message comes to her: You will live your life scorned by other maidens, treated as a frivolous, conceited wench or a poor, half-crazy wretch or a loose woman, and so on – after that you will be exposed to all possible suffering, and finally, because it seems as if God, too, has deceived you, a sword will pierce your heart – this is the glad tidings. Yes, honor to her – to be able to say promptly, without a moment’s consideration: Behold, I am the handmaid of the Lord, and then to be able to sing the song of praise: Henceforth all generations will call me blessed. O my God, this is quite different from being able to speak perfectly all the living and dead languages (as our educated girls do); this is speaking in tongues [JP 3:2674]. Good Nothingness. God in heaven, let me rightly feel my nothingness, not to despair over it, but all the more intensely to feel the greatness of your goodness [JP 3:3378]. Hating Myself Properly. My Lord and Savior, you whose love hides a multitude of sins, when I really am aware of my sin and the multitude of my sins, when before justice in heaven there is only wrath over me and over my life, when here on earth there is only one person I hate and detest, one person I would flee to the ends of the earth to avoid – myself – then I will not begin the futile attempt that only leads either more deeply into despair or to madness, but I will promptly flee to you, and you will not deny me the hiding place [1 Peter 4:8] you have lovingly offered to all; you will shield me from the eyes of justice, rescue me from this person and from the recollection with which he tortures me; you will help me to dare – by becoming a changed, a different, a better person – to remain in my hiding place, forgotten by justice and by that person I detest [KW 18:187]. Becoming Humble. …Merciful God and Father!…. Teach us the properly humble discernment of understanding so that – like the broken sinner who sighs under his guilt, saying: It is impossible, it is impossible that God can have mercy on me in this way – in the very same way he who in faith appropriates this mercy to himself must say in his joy: It is impossible….O lazy human discernment, O deceitful mortal wisdom, O dull, dead thoughts of slumbering faith, O wretched forgetfulness of a cold heart – no, Lord, preserve every believer in the properly humble discernment of understanding and deliver him from evil! [JP 3:3409]. Wanting True Healing. Father in heaven! So often the congregation brings its intercessions to you for all who are sick and sorrowing…. Grant that each one of us may rightly become aware of which sickness is the sickness unto death, and of how we are all sick in this way! And you, our Lord Jesus Christ, you who came to the world to heal those who suffer this sickness,…. Help us in this sickness to turn to you to be healed. And you, God the Holy Spirit, you who come to our assistance if we honestly want to be healed: Be with us so that we never to our own ruination elude the physician’s help but remain with him… [JP 3:3423]. Fighting for Love. Father in heaven! You loved us first. Help us never to forget that you are love, so that this full conviction might be victorious in our hearts over the world’s allurements, the mind’s unrest, the anxieties over the future, the horrors of the past, the needs of the moment. O, grant also that this conviction might form our minds so that our hearts become constant and true in love to them whom you bid us to love as ourselves [JP 3:3394]. Awakening Well. Father in heaven! When the thought of you awakens in our soul, let it not awaken like a terrified bird that flutters about in confusion, but like a child from its sleep, with a heavenly smile [JP 3:3372]. Becoming a Believer. Father in heaven!…. We pray… that you will form the hearts of those who live without God in the world, so that they might seek you; the hearts of those who seek you that they might wait upon you; the hearts of those who wait upon you that they might find you; and the hearts of those that find you that they might give away everything in order to buy what they possess and that nothing might tear you from them or them from you until their final blessed end… [JP 3:3399]. That Preachers May Honestly Believe. We pray for those who are servants of the Word, those whose task it is, as far as a human being is capable of it, to draw people to you. We pray that you will bless their task, but also that in this task of theirs they themselves may be drawn to you, that in their zeal to draw others to you they themselves are not held back from you. [KW 20:262]. Separated Yet Hopeful. Lord, my God, I really have nothing at all for which to pray to you; even if you would promise to grant my every wish, I really cannot think of anything – except that I may remain with you, as near as possible in this time of separation in which you and I are living, and entirely with you in all eternity [KW 5:392]. Without Answers. And when at times, O Lord, it is as if you paid no attention to my voice, paid no attention to my lamentation, my sigh, my thank-you – I will still continue praying to you until you hear my thanksgiving because you have listened to me! [JP 3:3387]. Our Fault – Not God’s. …Grant,… O God, that we may do our best to combat the absence of spirit which wants to delude us into thinking that you are absent, in order that, for the sake of collecting and building up the mind, disciplining and purifying the mind, we may keep in mind that you are always present [JP 3:3410]. Our Spiritual Wasteland. We human beings carry the holy only in fragile jars, but you, O Holy Spirit, when you live in a man you live in what is infinitely inferior: you Spirit of Holiness, you live in our filth and impurity, you Spirit of Wisdom, you live in our foolishness, you Spirit of Truth, you live in our self-deception! O, stay here,… you, who creating and giving new birth, make your own dwelling place, O, stay here that it may at some time come to be that you are delighted with the house you yourself prepared for yourself in my filthy and foolish and cheating heart [JP 3:3445]. Comfort With Divine Discrimination. Lord Jesus Christ, you who loved us first, you who until the last loved those whom you had loved from the beginning, you who until the end of time continue to love everyone who wants to belong to you – your faithfulness cannot deny itself. Alas, only when a person denies you can he force you, so to speak, you the loving one, also to deny him. May this be our comfort when we must indict ourselves for the offense we have committed, for what we have left undone, for our weakness in temptation, for our slow progress in the good, that is, for our unfaithfulness to you, to whom we once in our early youth and repeatedly thereafter promised faithfulness – may it be our comfort that even if we are unfaithful you still remain faithful; you cannot deny yourself [KW 17:282]. God’s Tough Love. Loving Father, I am a total failure – and yet you are love. I even fail to cling to this, that you are love – and yet you are love. No matter how I turn, this is the one thing I cannot get away from or be free of – that you are love. This is why I believe that even when I fail to cling to this – that you are love – it is still out of love that you permit it to happen, O infinite love [JP 3:3450]. Jesus Surpasses All of Creation. Great are you, O God…. When under the arch of heaven I stand surrounded by the wonders of creation, I rapturously and adoringly praise your greatness, you who lightly hold the stars in the infinite and concern yourself fatherly with the sparrow. But when we are gathered here in your holy house we are also surrounded on all sides by what calls to mind your greatness in a deeper sense. You are indeed great, Creator and Sustainer of the world; but when you, O God, forgave the sin of the world and reconciled yourself with the fallen human race, then you were even greater in your incomprehensible compassion!… [KW 17:289]. Dwelling on Christ’s Teachings. Would that you might so fill my thoughts, Lord Jesus Christ, that people could look at me and tell that I am thinking of you…. Would that your image might prevail upon me in such a way that I proclaim your teaching, even though I am wretched, scorned, and ridiculed – then people would see (… by my character) that I am thinking of you [JP 3:3449]. [A] Praying in Jesus’ Name. …I do not dare approach God except through an intermediary; if my prayer is to be heard, it must be in the name of Jesus; it is this name which gives it power…. I cannot pray in the name of Jesus about my own will…. I dare put the name of Jesus to my prayer [to] picture him, his holy will, together with what I am praying about… [JP 3:3441]. [B] Jesus Matters Most. Let us not forget in all [the glories of science] the one thing needful,…. that we are saved by your Son [JP 3:3368]. [C] Listening to God’s Will Most of All. …The true prayer-relationship does not exist when God hears what is being prayed about but when the pray-er continues to pray until he is the one who hears, who hears what God wills… [JP 3:3403]. [D] Thanking God Most of All for Darkness. If you delay, it… is not stinginess but fatherly thriftiness which lays aside the best for the child in the safest place and for the most opportune time. Lord God!…. How beautiful to thank when a man readily understands that you give good and perfect gifts,… and even earthly common sense quickly agrees. Yet it is still more blessed to give thanks when life becomes a dark story,… when the heart is oppressed, when the mind is darkened, when reason turns traitor in its ambiguity and memory deceitful in forgetfulness, when self-love shrinks back in horror, when prudence resists,… then it is more blessed to thank God. For the one who gives thanks in this manner loves God… [JP 3:3405]. [E] Struggle is Supreme. They are beautiful, those words by St. Theresa,… “O, you blind ones, to abandon prayer just when it ought to begin.” But that is how it goes. In good days, when everything is so easy to understand, or it is assumed that everything is so easy to understand, then they pray or think that they pray. When adversity comes and praying becomes a struggle, that is, becomes real prayer, then they abandon it [JP 3:3435]. [F] Especially When Desperate. Christ wept blood when he prayed – nowadays the preachers give three reasons to prove that it is expedient to pray. – What if people were forbidden to pray; then they probably would no longer need three reasons. When parents have done everything to make their children happy and they still are not happy, the parents take everything away from them – it helps! [JP 3:3414]. [G] Odd Breathing. The Church Fathers were right in observing that to pray is to breathe. Here we see the stupidity of talking about a why, for why do I breathe? Because otherwise I would die – and so it is with praying. Nor do I intend to change the world through my breathing – I simply intend to replenish my vitality and be renewed – it is the same with prayer in relation to God [JP 3:3432]. [H] Courage to Endure. …We ordinary men pray God to end our suffering, to send us better times – and that is how we find consolation in prayer. The witness to truth prays God to give him strength to endure suffering; consequently he prays himself more and more deeply into suffering; the more inwardly and the more intimately he prays to God the more firmly he becomes immersed in suffering. – Do you have the courage to pray this way? [JP 3:3462]. [I] Taking Responsibility. Do you really believe that the benediction which the pastor pronounces from the holy altar works just as powerfully on those who inquisitively walk around admiring the works of man (the statues) in the church as it does on those who are gathered here in stillness to devote their attention to God? …Are not you who in disbelief deny the validity of prayer not guilty of superstition, for is it not superstitious to believe that God would act upon man in a purely external way? [JP 3:3379]. [J] Nurturing Faith. …Prayer is the daughter of faith, but the daughter must support the mother [JP 3:3456]. [K] Enduring Against the Odds. The more a person prays, the more certain his final consolation is that God has commanded that we shall pray; for God is so infinite that many times a person would otherwise hardly dare to pray, however much he wanted to [JP 3:3427]. [L] Praying So Long. It is said that James… had tough skin like a camel’s on his knees from continually praying, that he could keep on praying for several days. To our age this no doubt seems ridiculous, but we should remember… what eloquence of heart, what fullness, goes along with being able to pray so long without becoming weak, especially we who have enough trouble in making one heartfelt prayer [JP 3:3365]. [M] Unexpected Power. The Archimedean point outside the world is a prayer chamber where a true man of prayer prays in all honesty – and he will move the earth…. It is unbelievable what he achieves when he shuts his door [JP 3:3426]. [N] Buoyed Up Before God. 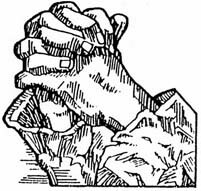 …By praying a person… makes himself buoyant in relation to God; otherwise God would completely overwhelm him [JP 3:3428]. [O] Backing Off. …The whole mistake in paganism … is that man relates directly to God as to another person, a more powerful man, instead of man’s first relating to God secondarily: after God has given everything for nothing [JP 3:3415]. [P] Using Our Words Carefully. May our words not be like flowers, which today stand in the meadow and tomorrow are thrown in the furnace, not like flowers, even if their splendor exceeds the glory of Solomon [JP 3:3367]. [Q] Being Eloquent. It is said that earthly love makes one eloquent – how much more should love of you, O God, make a man eloquent – you who yourself formed man’s mouth for speech [JP 3:3388]. [R] Using Our Poor Words. When prayer is heard here on earth and mingles with busy human speech, it is idle talk, but it is working in heaven; and frequently prayer does sow in corruption [1 Corinthians 15:42-43], but nevertheless it harvests in incorruption [JP 3:3396]. [S] Beyond Duty. …There is a lot of preaching about our duty to pray to God, but would it not be more correct to point out to men the prodigious prerogative of being able to talk with God [JP 3:3411]. [T] Difficult Collecting. To pray (to collect oneself) is a task for the whole soul, no easy matter [JP 3:3393]. [U] Waking Up for Sure. How difficult it is actually to be vigilant. One does not know whether he still is awake, actually is awake, is sleeping internally [JP 3:3392]. [V] Under Pressure is Best. Imagine a girl in love. Which do you think she appreciates more – that the beloved remembers her and thinks of her on a Sunday when he is loafing and has nothing to do – or that the beloved has the time to think of her when he is busiest of all and yet without neglecting anything: in the same way prayer to God in the day of need is most cherished and well-pleasing [JP 3:3424]. [W] Letting Go. …In order to pray in truth to God out of an honest heart we cannot deceitfully hide anything in the secrecy of our being – not that we are trying to deceive God, but we do not have the courage to confide it to him [JP 3:3386]. [X] Exhausting Yourself. To pray oneself out is something like crying oneself out, as we say. And when you have prayed yourself out completely, then there is only one word left: Amen [JP 3:3436]. [Y] That Rare Amen. To say “Amen” in such a way that not one single word more can be added,… after having said everything that lay on one’s heart – that is, before God one has become transparent to himself in all his weakness but also in all his hope,…. O, how seldom, how extremely seldom this happens… [JP 3:3425]. [Z] Beyond Prayer. …The blessedness of heaven is greater than praying [John 16:24] [JP 3:3421]. Instead of all this preaching about lofty virtues, faith, hope, and love,… someone ought rather say something like this once:… Never let yourself be alone with God lest you venture too far out, but see to it that your God-relationship is like everybody else’s so that you can get someone to assist you right away if God should leave you in the lurch…. Don’t go to church too often; never go alone to God, for that is dangerous, he could make too strong an impression upon you,… for in the relation to God you must always make sure of having something to hold on to so that he does not absolutely reduce you to nothing. Never pray to God in solitude, never so that your heart would prompt you to boundless confidence – no, learn certain formulas which you know for sure others have used to good advantage. [Now] if one were to talk this way, he would talk far more accurately both with respect to the situation of most of the listeners and their wants than if he used all those high-flying phrases…. And then shut your eyes to everything else and do not let yourself be disturbed by men [JP 2:1354]. Kierkegaard’s view of true prayer implies a concept of false prayer. There is, for example, no true prayer without suffering. False prayer asks relief from suffering. True prayer asks the strength to bear it. False prayer falsely conceives of God. It thinks God is changeable; it tempts God, but God neither tempts nor can be tempted. It thinks God operates in terms of human conceptions of good and evil, pleasant and unpleasant. It turns God into man writ large, as if he could be persuaded, cajoled, bargained with. True prayer is patient and persistent. False prayer is halting and impatient. The individual who prays truly is humble and finds the experience of prayer humbling. The individual who prays falsely bolsters his own self-esteem and is presumptuous in his prayer. True prayer accepts everything and refers everything to God. The one who prays falsely complains and then gives thanks only for what he himself thinks is good. The true man of prayer is totally committed. His opposite holds something back, or he prays with only part of his being – his mind, his feelings, or his public self. In valid prayer a man come alone before God. In immature prayer the individual tries to maintain his dependencies on his fellow man and his social world as a kind of protective device. True prayer maintains the dialectical tension in man’s sense of the distance and the nearness of God; false prayer either volatilizes the God-relationship in a fantastically elevated conception of God or so likens God to man that it treats God as a fellow human being. The man who prays truly strips himself of all cleverness, while false prayer is often an attempt at clever conversation…. The man who truly prays listens to God; the man who prays falsely wants God to listen to him [LeFevre 221-222]. Søren Kierkegaard’s Journals & Papers [JP] 7 vols., trans. and ed. Howard V. and Edna H. Hong, Bloomington , IN : Indiana University Press, 1967-1978. Kierkegaard’s Writings [KW] 26 vols., trans. and ed. Howard V. and Edna H. Hong, Princeton , NJ : Princeton University Press, 1978-2000. The Prayers of Kierkegaard, ed. Perry D. LeFevre, Chicago , IL : University of Chicago , 1956. Søren Kierkegaard: The Mystique of Prayer and Prayer, trans. Lois S. Bowers, ed. George K. Bowers, Lima , OH : CSS Publishing, 1994. 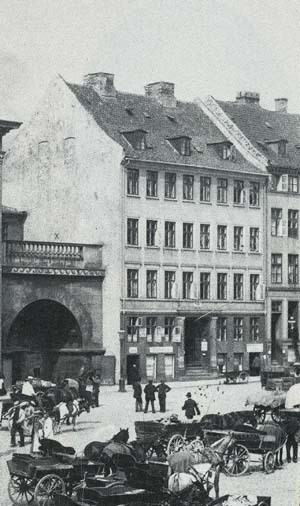 Kierkegaard was born in 1813 and raised a Lutheran in Copenhagen, Denmark. He was highly educated at the University and developed a love for words and ratiocination – “the thorough kneading of reflection” (KW 14:111). In his book Stages on Life’s Way (1845) he praises the Danish language saying that it is “…not without expressions for the great, the crucial, the eminent, yet has a lovely, a winsome, a genial partiality for intermediate thoughts and subordinate ideas and adjectives, and the small talk of moods and the humming of transitions and the cordiality of inflections and the secret exuberance of concealed well-being” (KW 11:489-490). These words also reveal his manner of writing. But for all his learning and writing – nearly 30 books and thousands of pages of journal entries – his heart was with the ordinary fellow. Even though he was shy, he walked the streets of Copenhagen chatting with strangers – keeping the night hours for his secluded reading and writing. He didn’t court the public for any political interests, but simply for “the disjunctions… of good and evil, right and wrong, honesty and dishonesty,… of which the common man had an unshakable and instinctive grasp, quite apart from any reflection” [Jørgen Bukdahl, Søren Kierkegaard and the Common Man, trans. Bruce H. Kirmmse (1961; Grand Rapids, MI: Eerdmans, 2001) p. 63]. 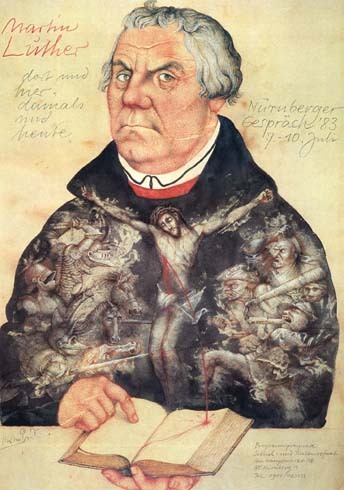 Kierkegaard loved this instinct because he wanted to build a similar “intensity” back into Christianity (JP 2:1807) since it had “become a banality” (KW 22:78). So he took Matthew 7:13-14 to heart – reading it “primitively” for character building (JP 3:2916-2917): that Christianity is difficult, and few practice it aright. Christian faith doesn’t come from fine thinking but from acting “according to the… orders of Christ” (JP 3:3023). And Jesus said we should strive to follow his narrow way. This way opposes the easy life wherein “the gorgeous poisonous flower of excuses blooms” (KW 15:153), for all other ways are “wrong roads” (KW 15:299). They don’t “work against” ourselves (KW 21:61) and our “mutually enchanting defraudation of love” (KW 16:107) – as Christ’s true way does. So “woe, woe to the Christian church” when it craves being “victorious in this world,” for then “the way to life is no longer narrow” and true (KW 20:223-224). For it’s not a sign you’re on “the right way” when things are going easily for you (KW 23:320). 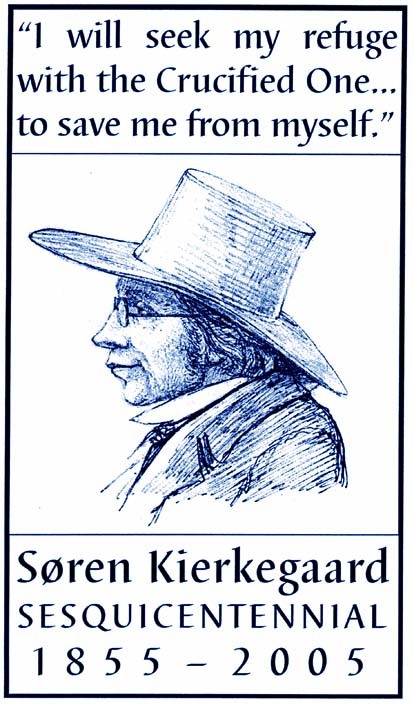 So thank God for Kierkegaard – and for Howard and Edna Hong who have translated his books into English – as well as those who have translated them into German, French, Spanish, Portuguese, Dutch, Italian, Swedish, Norwegian, Chinese, Japanese, Korean, Hungarian, Polish, Romanian, Bulgarian, Croatian, Russian, Ukrainian, Czeck, Hebrew, Greek and Turkish (oclc.org). Truly the world needs to hear from Kierkegaard “that Christianity alone is able to give a solution to all the existential problems” [G. Malantschulk, The Controversial Kierkegaard, trans. Howard V. & Edna H. Hong (1976; Wilfrid Laurie University Press, 1980) p. 74]. This little hand book by Bruce Wilkinson, entitled The Prayer of Jabez: Breaking Through to the Blessed Life (2000), has become an overnight sensation – selling nearly 4 million copies and being the best seller of 2001 – even surpassing the wildly popular children’s book, Harry Potter. (Philip Zaleski, “In Defense of Jabez,” First Things, No. 116, October 2001, p. 10). Wilkinson argues that if you pray this prayer daily you will “experience super natural enthusiasm, boldness, and power. It’s up to you” (p. 61). Through this prayer, God “makes heroes of ordinary people like Jabez and you and me” (p. 48). And God wants you to pray this prayer because he “is looking for people who want to do more…, because sadly, most believers seem to shrink from living at [a higher] level of blessing and influence” (p. 40). So we should prayer, “O God and King, please expand my opportunities and my impact in such a way that I touch more lives for your glory. Let me do more for you!” (p. 32). And we should ask God to bless us “a lot. God’s bounty is limited only by us, not by His resources, power, or willingness to give. Jabez was blessed simply because he refused to let any obstacle, person or opinion loom larger than God’s nature. And God’s nature is to bless” (p. 29). Wilkinson specifically notes that this yearning for more is not “impolite or greedy.” No, the prayer of Jabez is “not the self-centered act it might appear [to be]” (p. 19). Wilkinson has not convinced everyone, however. In The Prayer of Jesus: Secrets to Real Intimacy With God (2001), Hank Hanegraaff writes that when Jesus’ disciples asked him how to pray he didn’t give them the prayer of Jabez (p. xi). Hanegraaff thinks that Wilkinson’s book is “the quintessential example of fast-food Christianity” (p. x). He argues that Wilkinson seems to be saying “if you know the right technique, the right form, [your] prayer will be efficient and effective. Kind of like golf” (p. ix). So for those like Hanegraaff, the prayer of Jabez is at least being used in self-centered ways. While Hanegraaff’s critique is thoughtful and fair, Wilkinson’s periodic sage comments weakens it and any other criticisms that might come its way. For instance, Wilkinson says that “radical trust in God’s good intentions toward us has nothing in common with the popular gospel that you should ask God for a Cadillac, a six-figure income, or some other material sign that you have found a way to cash in on your connection with Him” (p. 24). This is a laudable critique of what’s been a vexing problem since Jesus fed the crowds in John 6:25-27. He also writes that “if you’re doing business God’s way, it’s not only right to ask for more, but He is waiting for you to ask” (p. 31) – here the stress being put on our obedient imploring of God, out of dependence on him, and our transacting of business according to his will rather than our own. He also notes that “the cycle of blessings will give your faith a good testing” (p. 84) and that when your life “has smoothed out [it shows] you’re no longer in the battle! Satan isn’t worried about you anymore” (p. 64). And he believes that being “more honorable [before God] has very little to do with talent” (p. 77) – which is right given that our righteousness only comes through faith in Christ Jesus (Romans 3:21-26). So because of faith’s significance he rightly concludes that “only what you believe will happen… will… bring about a life change” (p. 87). So what shall our final verdict be regarding this best seller? Should the church champion it? Shall we include the prayer of Jabez in our catechisms – reversing generations of neglect? First we must recognize and appreciate the wisdom in the sage comments from The Prayer of Jabez listed above. But beyond that, accentuating this prayer from 1 Chronicles 4:10 is ill advised. This is because it comes too close to furthering the materialism Wilkinson says he’s opposes. For wanting to do more for the Lord (see p. 19) can easily slip into getting more earthly treasures from the Lord – which we are to eschew, refraining, as we are to do, from laying up treasures on earth (Matthew 6:19). And also these noble efforts, while being praiseworthy (see p. 40), given our admitted laziness (Matthew 26:40; Luke 12:19; 2 Thessalonians 3:6-14; 1 Timothy 5:13) are nevertheless far from the contentment (Philippians 4:11) that’s also supposed to be ours. So rather than praying that our territories would be enlarged, we would do better to pray simply that God’s kingdom would come (Matthew 6:10).